It may be difficult to find anything good about the latest data regarding the housing market, but the housing downturn does have a silver lining. One of the positives about the downturn is that real estate has never been so affordable in its entire history. Also, there is a sea of opportunities for homebuyers, as well as investors. If you want to find the best place to invest money in 2011, read on! Extensive real estate data and statistics have been keeping track of the housing markets across the United States. A comprehensive list of the best places to invest in 2011 has been put together and now it’s been made public. This list is not for those who want to make a quick buck. It is for those who are looking to make long-term investments, and those investors interested in generating rental income from their properties. Modest value appreciation is usually expected by these investors, and their focus is regular positive cash flow. If you are one of these investors, you may find the best place to invest money this year on this list. The places where rates of foreclosures were falling scored well for investments, and the local market is clearly doing better here. 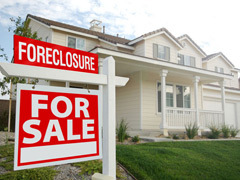 However, as foreclosures are important for investors, these places still have plenty available. This figure needed to be increasing to make the list, since a relatively strong real estate market is more attractive for investors. The relationship between home values and the local incomes were examined over time, and today’s ratio was compared to the historic norm. Cities with home values higher than the historic norm were rated highly, since this is a sign of property values over-correcting, making 2011 a good year to invest there. Places that had a small difference between the yearly cost of buying or renting scored highly and got in the top 10. Although rents could fall in the future, it is still possible for the property to quickly generate income.